Associate Member Mark Houghton will be developing his current collaborative project with fellow artist Kelly Best during a short residency at Projects: Manchester in Federation House from 4 – 10 August, with a public showcase of their work created on Saturday 9 August on the 4th-floor at Federation House. This project will solidify a new collaborative partnership between Mark Houghton, a sculptor and Kelly Best, a painter. Working firstly Manchester at ARCADECARDIFF, followed by a short residency at Projects: Manchester, they will work together to form an experimental collaborative touring exhibition. The project boligleverand?rene will begin with an investigative production stage, subsequently formalizing ideas into new works for exhibition. These works will be informed by each of the artist’s practices, but also draw inspiration from the spaces where they will be created and shown. Houghton & Best will explore the visual overlaps and thematic parallels between their work, as well as investigating the links between primarily 2D and 3D practices. Exploring concepts challenging authorship of an exhibition within a wider social context, the new works made in ARCADECARDIFF will subsequently tour to Projects: Manchester for further exploration of the work within a new visual context. The project in Manchester will consist of a 5 day exploration and creation period and culminating in an open evening for the public to view the works made on the 4th-floor at Federation House on Saturday 9 August (6-9pm). A Question and Answer session hosted by Mark Devereux aimed at evaluating the project will preceed this from 5:30pm. Look out for further information and images from Mark & Kelly’s residency via our Twitter and Facebook feeds. 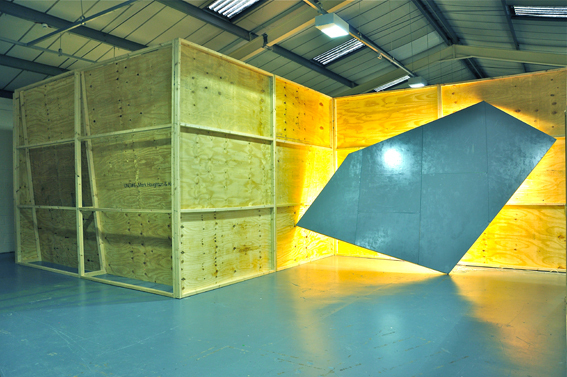 Mark Houghton & Kelly Best’s residency is supported by MDP Associates and Castlefield Gallery’s New Art Spaces. MDP Associates is Mark Devereux Projects’ membership scheme, supporting early-career visual artists through a programme of events, opportunities and critical exchange. Working with artists, curators and industry professionals from around the country, MDP Associates encourages dialogue and support through both one-to-one and group sharing. Castlefield Gallery’s New Art Spaces (NAS) is an initiative to create dynamic project spaces for artists, artist collectives and artists development agencies. Making use of temporary vacant retail, office and light industrial units, NAS provides opportunities for emerging creatives For to incubate their practices, produce work and showcase world! new art to local communities. Currently CG runs New Art Spaces in Leigh, Widnes, Salford and city centre Manchester.